Working with buy here pay here car lots in Denver, Colorado offers you more options when it comes to buying a new car specifically those with bad credit scores. Denver is home to millions of people, and when you take into account the suburbs and neighboring communities, that number only grows larger. Whether you recently moved to the area, or you lived in the city for years, you might want more information about Denver CO buy here pay here car lots. These lots give you the chance to buy a car without going through a traditional bank or credit union. Those financiers only care about your credit score, and if you have a lower credit score, your bank will likely charge you a high interest rate that you just can't afford. Working with buy here pay here car lots offers you more options when it comes to buying a new car. A buy here pay here car lot is essentially a car lot with in-house financing. When you go through a bank or a credit union, you make payments to that bank. When you go through a Denver buy here pay here lot, you make payments to the car lot. The dealer will keep your note on file, let you make payments and turn over the note after you finish paying off your loan. As these dealers offer in-house financing, you often have access to better rates and more options than you would if you went through a bank. These lots also have a wide range of vehicles available for you to choose from based on your income and loan terms. The number one question that car shoppers ask when it comes to Denver auto loans is how they can qualify for a loan. You really only need to meet a few specific requirements, and most people find that they easily qualify for a loan. You usually need to have a gross income of $1,500 or more per month, which is the total amount that you make before taxes. If you don't have a job, you need to prove that you make that much every month. Lenders also require that you're a citizen of the United States, and some will extend credit to residents of Canada. You must also have a valid address, and some companies require that you be a resident currently living in Denver. Most lenders will only extend credit to those who are at least 18 years old as well. 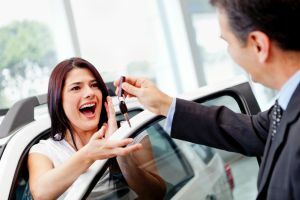 People with bad credit sometimes discover that auto dealers aren't willing to work with them, but we look at things differently. A bad credit score is typically a score of less than 600, but it's easy to see your credit drop into this range after a bout of bad health or a period of unemployment. When you get back on your feet again, we want you to know that we will be by your side. Even if you have a score of less than 600, you can still find a car and a loan to pay for that car. Checking your credit score is the easiest way to determine if you have bad credit. The United States government lets you check your credit score, and you don't need to pay for that information. Request a copy of your credit report online, over the phone or through the mail. Your credit report will give you some idea of your current credit situation, which can help you determine if you have bad credit or poor credit. Some dealers will even check your credit for you when you apply for an auto loan. You have access to dozens of different types of Denver CO auto loans through Auto Credit Express, and some of those loans can even help you improve your credit. When you make a purchase from a buy here pay here lot, the dealer agrees to report your payments to the credit reporting agencies. The more payments you make on time, the higher your credit score will rise. After you improve your credit score, you'll find that you have access to even better auto loans. Denver buy here pay here lots associated with AutoCreditExpress.com specialize in assisting those with poor or bad credit and those with low credit scores. No matter what your current credit situation is, you can find a great new car that fits with your budget. Find out more about how you can qualify for an auto loan today and how that loan can help you fix your credit when you fill out ourloan requestwith us.